It’s that time of year again, as the Chipmunks sang, back when I was a kid. But not all the Christmas ditties are necessarily for the kiddies. For this episode of The Five Spot, we select five of our favorite Santa-themed sonic stocking stuffers, for those of us now sitting at the grown folks table. Every blues guitarist of the past fifty years, received stylistic gifts from Albert King. On “Santa Claus Wants Some Lovin’”, a classic Christmas cut off Stax Records’ must-have Chistmas in Soulsville compilation, the man Born Under a Bad Sign wants a present from his old lady on Christmas Eve, before the children wake up Christmas morning. 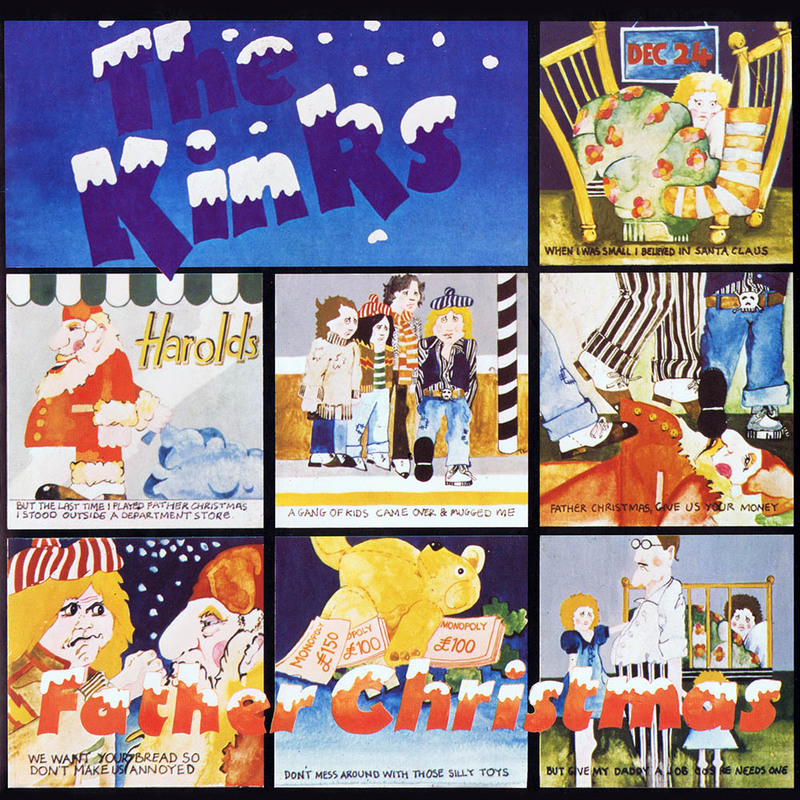 One of rock radio’s most enduringly subversive Christmas carols, “Father Christmas” turns forty this year, and still sounds as fresh as ever. Long after their peers either broke up (The Beatles), moved to America (The Rolling Stones), or transitioned into arena-rock bombast (The Who), The Kinks were the British Invasion band most suited to ride alongside London’s 1977 punk-rock wave. Part of that was the riffing simplicity of some of their biggest hits ("You Really Got Me", "All Day and All of the Night", and later "Destroyer"). Another aspect was the bitingly sarcastic sense of humor, mixed in with a dash of social commentary, present in songs like “Father Christmas” and “Lola”. Whatever the case, when you hear this, it sounds completely of the precise time and place it was born, while timeless like great Christmas songs before or since. Speaking of moments in time, 2017 has become The Year of The Creeper Comeuppance. At a level that makes you think “oh no, not him too!”, rather than “oh no, is he dead?! ?” when you see a famous man’s name trending on Twitter. Matt: He’ll be a hashtag by next week. That turned into more of a Nostrabombus moment than any football picks weekend. But who could have foreseen that in the spring of 1991? 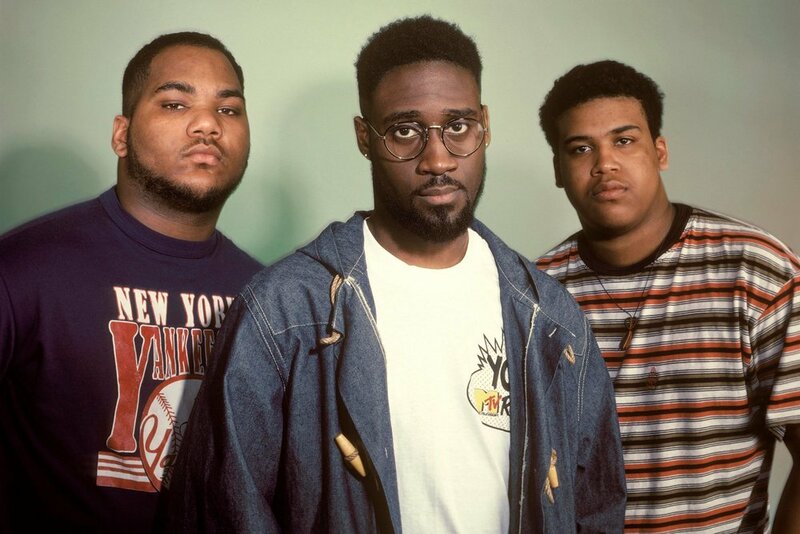 A brilliant trio of Long Island college-age kids named De La Soul, and visionary producer Prince Paul. “Millie Pulled a Pistol on Santa”, a tragic tale of an adolescent girl molested by her father, was somehow released as a single that summer. Maybe Tommy Boy Records thought they’d be able to drum up some “Janie’s Got a Gun” funds. Unsurprisingly, it didn’t reach the heights of previous De La Soul singles 1989’s “Me, Myself & I”, or even 1991’s “Ring Ring Ring (Ha Ha Hey)”. Maybe it was too inscrutably specific for mass appeal. Yet it remains relevant today, while the darkening of the D.A.I.S.Y. Age, along with perhaps the creative peak of one rap’s greatest groups ever, is on full dazzling display. While we’re on the topic of greatest rap group’s ever, if anyone asks “where did that horn sample on Run-DMC's ‘Christmas in Hollis’ come from?”, tell ‘em that it was a gift from “Backdoor Santa”. And he ain’t like Old Saint Nick, who don’t come but once a year. Backdoor Santa, the dirty-blues alter-ego of Clarence “Strokin” Carter, uses an open back-door instead of a chimney, for an easier escape route. For all female admirers in the neighborhood, when their old man’s not around, he’s the gift that keeps on giving. 1996 was the best of times, it was the worst of times, for Death Row Records. Despite Dr. Dre’s defection in March, the label Marion “Suge” Knight principally owned sold over 20 million records that year. By late Fall, Death Row had lost more than Dre’s production talents. Tupac Shakur had lost his life in a late September Vegas shooting. Knight lost his freedom due to a probation violation. Subsequently, the label’s last meal ticket (Snoop Doggy Dogg, as he was known then) left for No Limit while Suge was stuck in the bing. But that didn’t stop the label from celebrating one of the biggest-selling years by a record label in recorded history, during the holiday season, with its cobbled-together Christmas on Death Row compilation, with proceeds going to charity. Snoop, by that point already with one foot out the door, only made one appearance on the album. Uncoincidentally, that also became the lead-off track, plus first single and video released, from the album. Snoop’s little cousin Daz starts off “Santa Goes Straight to the Ghetto” with a verse that could almost be construed as ‘conscious rap’, before big cuz steps thru the fog with “now on the first day of Christmas, my homeboy gave to me/a sack of Crazy Glue and told me to smoke it up slowly”. The song, like so many Death Row classics, was greatly aided by the Hookmaster Extraordinaire, the late great Nate Dogg. DPGC affiliate Bad Azz and The Eastsidaz Tray Dee also hop in Black Santa’s floating six-fo Impala for this holla-holiday.